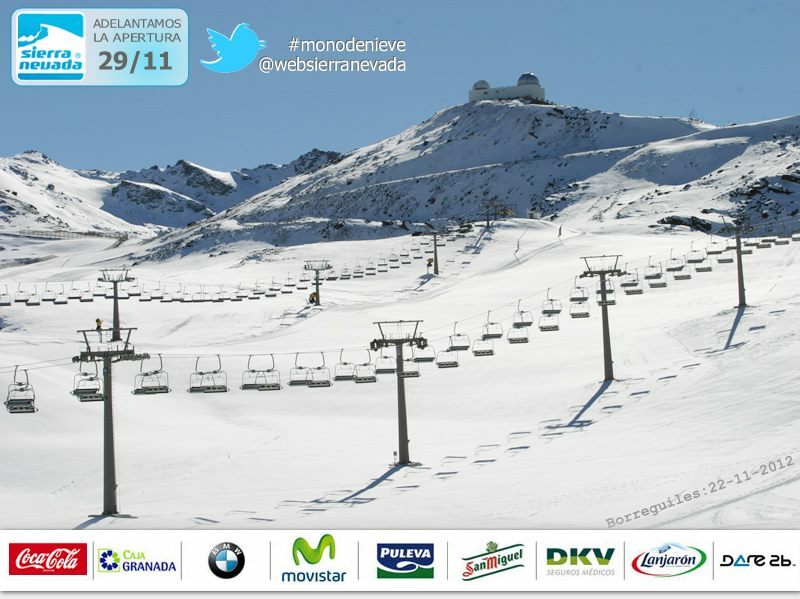 The winter resort of Sierra Nevada advanced to November 29, two days ahead of schedule, the opening of the 2012/13 season, after services have assessed the situation of the skiing slopes after recent snowfall and analysed weather forecasts for the next few days. During the two days ahead of season (29th and 30th of November) the popular ski resort in Granada has established a special promotional price for the ski pass for 30 euros per day. On December 1st, the prices will be again as stated in the official calendar of the season. 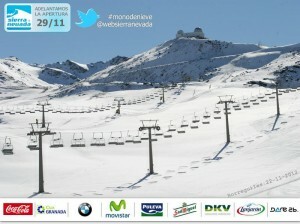 Among the novelties of the 2012-13 season in Sierra Nevada are a new beginner mechanical means, improved access to lifts or improved telecommunications. In March 2013 will be celebrated the World Cup of Freestyle Snowboard and Ski In Sierra Nevada, where will compete the 550 best world specialists of the most spectacular disciplines. In the competition will be especially outstanding for fans of freestyle the snow park Sulayr with its Star, the largest permanent half pipe in Spain. The skiing resort in Sierra Nevada is one of the most popular and visited by many Spanish and foreign skiers who discover the pleasure of skiing in bright sunshine and blue sky. Last year, almost one million visitors enjoyed great facilities, its long hours of sunshine and its famous nightlife. Because of this, during the season we have a very high percentage of sunny days allowing skiing in excellent conditions. Sierra Nevada has skiing slopes for all types of skiers; in addition there are various schools for learning this sport and plenty of activities for children and “non-skiers”. Just 33 km from the resort is located the fascinating city of Granada with its ancient alleys, plazas, monuments and the famous Moorish Red Fort, the Alhambra, a declared World heritage site. On clear days you can see the Mediterranean from the peaks of the Sierra Nevada and in fact are the warm waters of the Mediterranean and the Costa Tropical just an hour’s drive away from Granada. If you’re on vacation in Malaga and you want to see and experience something radically different in the highest mountains of the peninsula, visit Sierra Nevada and Granada. See our special offers for Sierra Nevada. Although a piece of advice: You should dress warmly; in Granada the weather is very cold compared to the moderate climate of the Costa del Sol. This entry was posted on Monday, November 26th, 2012 at 9:34 am	and is filed under Sierra Nevada. You can follow any responses to this entry through the RSS 2.0 feed. You can leave a response, or trackback from your own site.